Mpwapwa District is one of the seven districts of the Dodoma Region of Tanzania. It is bordered to the north by Kongwa District (site of the failed British groundnut scheme), to the east by Morogoro Region, to the south by Iringa Region, and to the west by Chamwino District. Its district capital is the town of Mpwapwa. 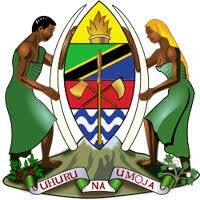 According to the 2012 Tanzania National Census, the population of Mpwapwa District was 305,056. According to the 2002 Tanzania National Census, the population of the Mpwapwa District was 254,500.